Theresa May once again failed to extract concessions from the EU27 on Wednesday after yet another meeting with Juncker (surprise, surprise) as the Continent refuses to budge on May's demands for "legally binding changes" to the deal - specifically to the troublesome Irish backstop, which many Brexiteers fear could result in the UK being reduced to a "vassal state" of the EU by becoming interminably trapped in the customs union, with zero say over its rules. Talks between Brexit Secretary Stephen Barclay and EU27 chief negotiator Michel Barnier on Thursday were similarly inconclusive. And with only 36 days left until "Brexit Day", it's becoming increasingly clear that May will need to ask her EU colleagues for an extension to the two-year negotiating period, something that would cut against her commitment to take the UK out of the EU "as scheduled", though she has never explicitly ruled it out. According to Bloomberg, the EU expects May to request a 3-month "technical extension," which would be the first, and hopefully only, delay, (because anything further would ratchet up the pressure for the UK to participate in the upcoming European Parliament elections...an unnecessary complication). Still, without meaningful concessions on the backstop, it's difficult to see a way forward. 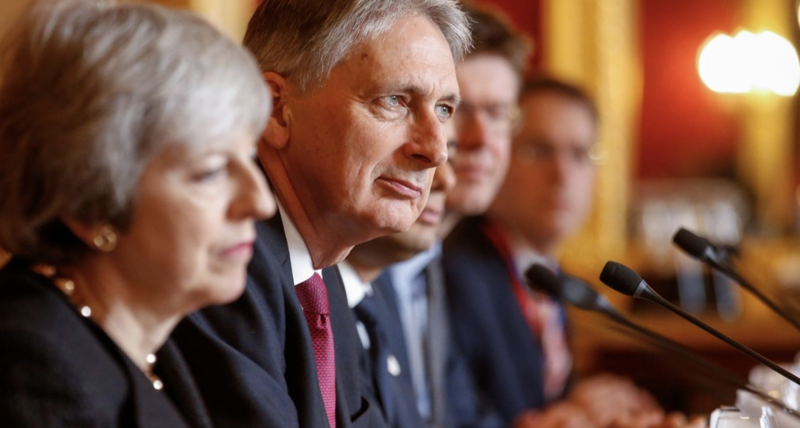 Rebellious Tories and the "Independent Group" have so far focused their efforts on securing a legally-binding commitment to take a "no-deal" exit off the table. And with the deadline unlikely to be extended past this point, if a deal isn't reached during the March 21-22 UK-EU summit, the way forward will appear impossibly vague. But with dozens of Tories reportedly ready to rebel unless the PM offers concrete reassurances that 'no deal' isn't an option, and that rebellion will likely take the form of support for an amendment tabled by former minister Sir Oliver Letwin and Labour's Yvette Cooper to give Parliament the power to delay Brexit Day if no deal is reached by mid-March.